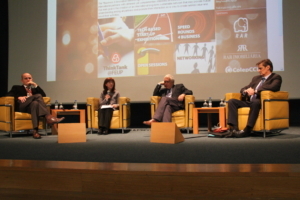 The first international meeting of Business & Innovation Network (BIN@), BIN@FEUP, was held at the Faculty of Engineering of the University of Porto in 2010. The event’s programme included core activities proposed by BIN@ network, namely Think Tanks, Tech-based Start-up Exhibition, Open Sessions and many others. In addition were held Speed Rounds 4 Business in which institutions/companies presented their core businesses, specific activitities or projects. It was an opportunity for the institutions to make new contacts as well as to develop business opportunities and future partnerships. 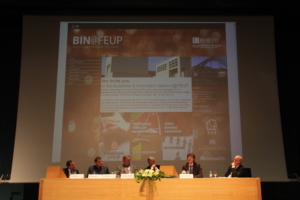 The BIN@FEUP 2010 had three complementary events – Foster Partnerships on Product Design and Development, Foster Cooperation in Health, and Robotics Brainstorming Session – the last one representing researchers from the institutions in Portugal and the United Kingdom.